Lights on bicycles and bike helmets are not a new or novel idea. They have been around for longer than even I have been riding my bike. They’re often used for early and late season training rides when the sun comes up later, and it gets darker faster. I’ve also used helmet lights on night-time mountain bike rides (lights reflecting off of the eyes of squirrels, deer and other critters in the woods is pretty cool!). While most LED lights these days produce plenty of illumination for the bike rider to see where he or she is going, lights strapped to bikes and helmets are sometimes difficult for other road users (e.g. cars) to see, which makes it harder for them to see the bike rider. 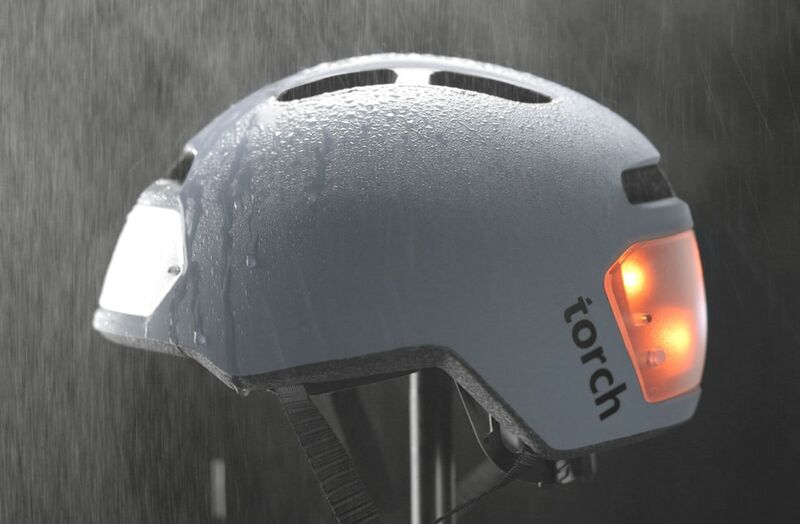 Enter Torch and Lumos, two new U.S.-based helmet companies. Torch Apparel is based in Los Angeles. They are currently offering the T2 Bike Helmet, which is the second-generation Torch helmet. The T2 is CPSC and CE certified (meaning that it meets certain standards of the US Consumer Product Safety Commission, as well as European Union directives and regulations), and contains 10 integrated LED lights, divided between the front and back of the helmet. The LED lights are protected by shatter-proof lenses. The helmet comes in a variety of colors and two rechargeable batteries are also included. 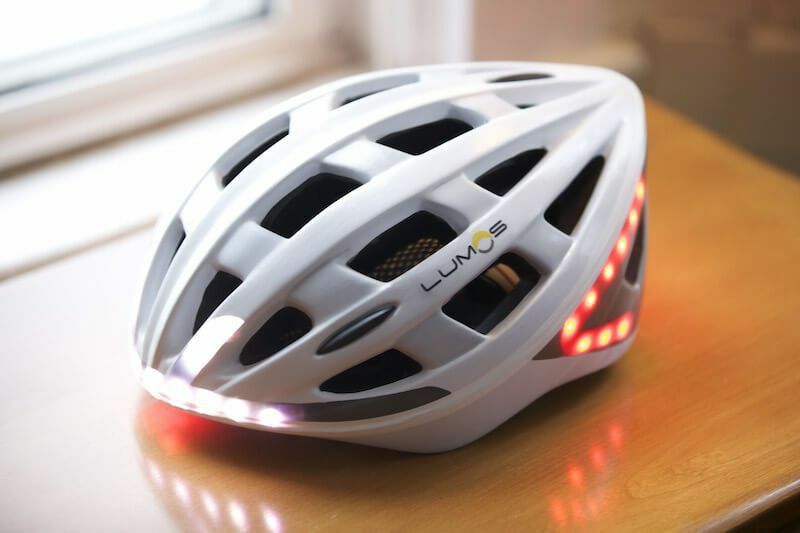 Lumos is a Boston-based company that has developed a bike helmet with 60 integrated LED lights that can be seen from every direction, as well as brake lights and turn signals. The turn signals operate by wireless remote control and are on the front and back of the helmet. The remote attaches to the handle bars. The helmet also contains an accelerometer that turns the rear red lights a brighter red when it senses the bike rider slowing down. The lights are powered by a rechargeable battery. The Lumos helmet was also funded by Kickstarter and has gone through a Beta test. The helmets are not yet in production, but you can get on the pre-order waitlist by going to the Lumos website. Unfortunately, for many bicyclists, this information may not be discovered until after an accident has already occurred. The good news for injured victims, however, is that our bike injury lawyers are here to help.